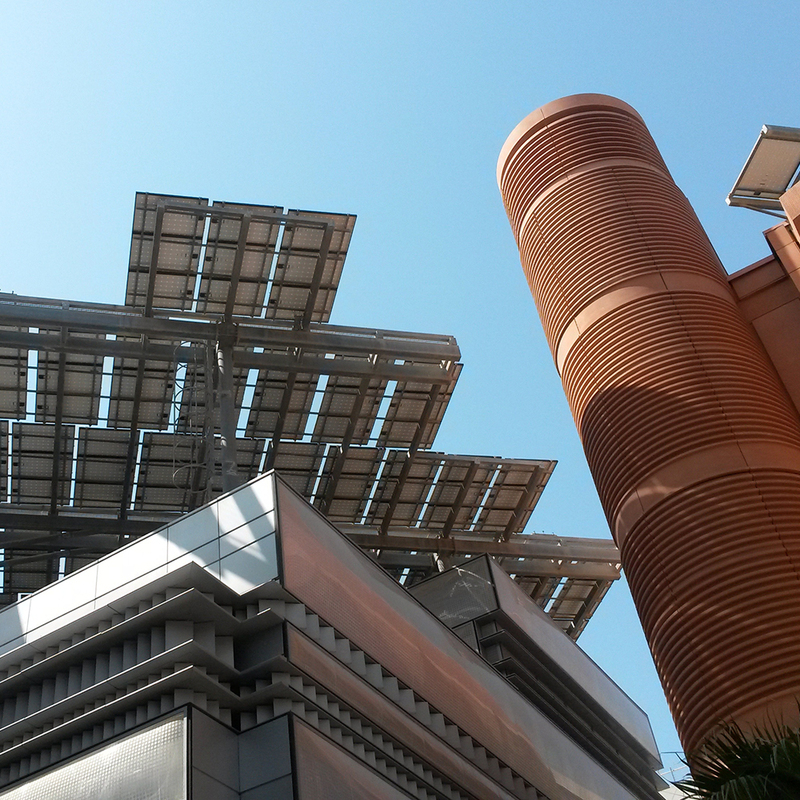 Masdar City is the world’s first carbon-neutral city and the Masdar Institute, located at its heart, creates a nucleus of scientific research in advanced energy and sustainability technologies. 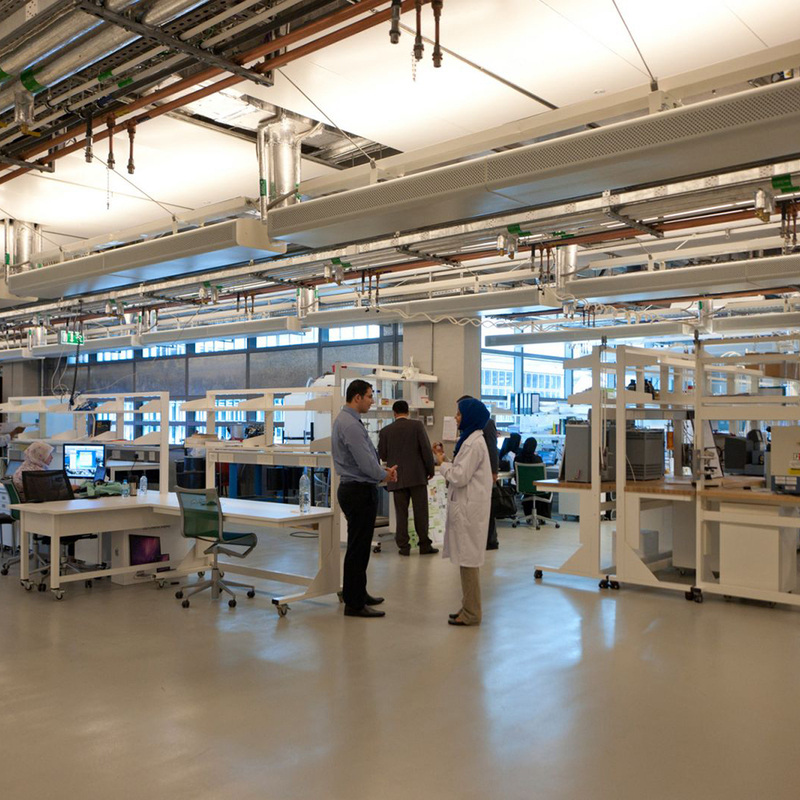 An advanced connected Delmatic DALI Zero Power system was selected to optimise energy efficiency within the Institute. 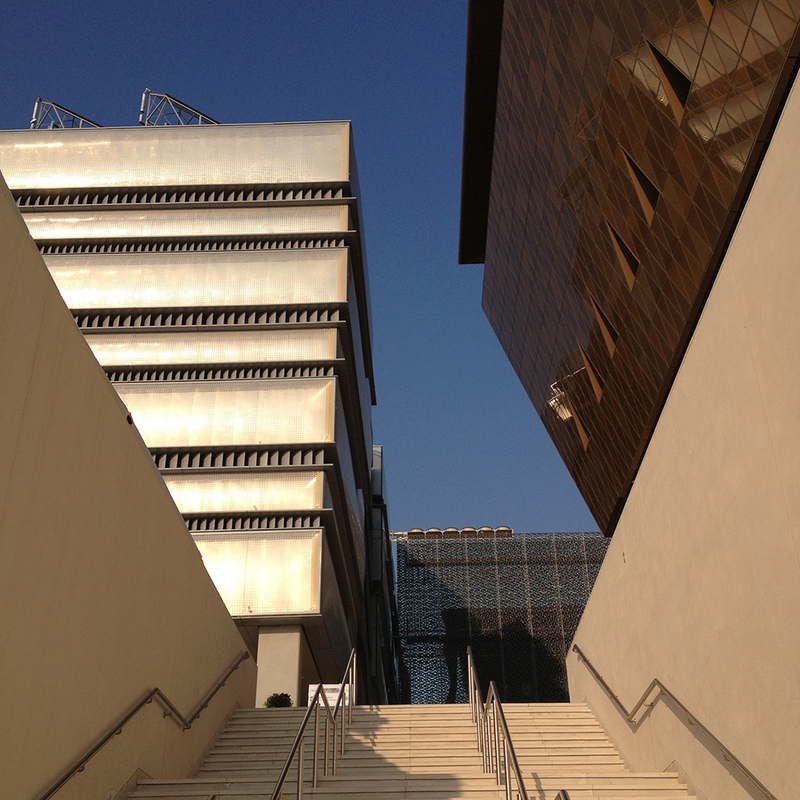 The Masdar Institute is powered entirely by renewable energy, and the campus buildings receive power from over 5,000 sq.m of rooftop photovoltaics as well as remote solar energy arrays. 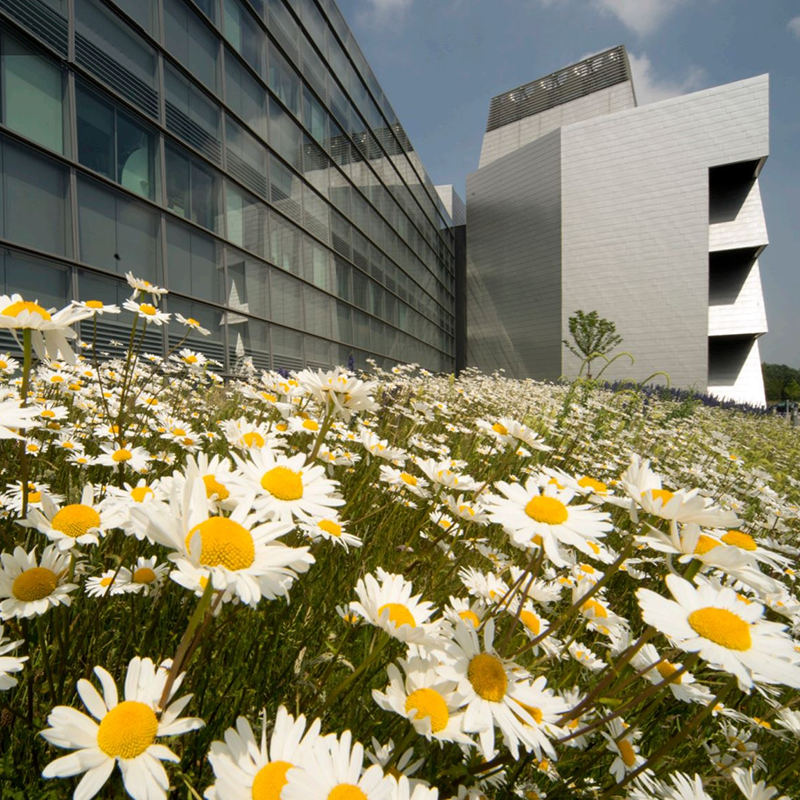 A Delmatic connected DALI Zero Power system optimises energy efficiency and controls lighting throughout the campus including study areas, laboratories, offices, as well as within student accommodation. Sustainability is top of the agenda and the Delmatic system considers every watt of power to reduce the demands on sustainable energy. To maximise energy efficiency, lighting is related to presence and absence within precise areas of the project while lighting levels continually adjust to take account of daylight levels. 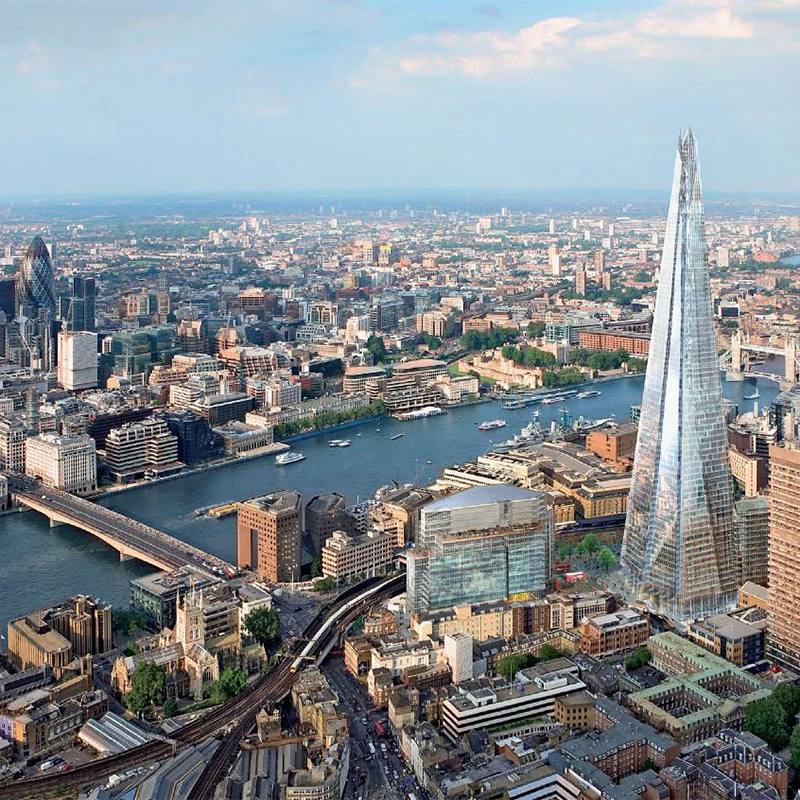 The connected system shares information from the lighting management system sensors with the site BMS so that lighting and heating, ventilation and cooling are linked to occupation. Delmatic’s innovative DALI Zero Power modules further reduce energy consumption by eliminating the standby power of digital lighting saving many kilowatts of unnecessary parasitic load and standby energy consumption. To enhance overall sustainability the Delmatic system logs the number of hours each lamp has been in operation and compares this with manufacturers’ lamp life data to create recommended relamping schedules: these avoid the premature replacement of luminaires (with the associated environmental & disposal issues) and ensure that luminaires are retired at the optimum point. The system also monitors individual lamp operation and highlights lamp and ballast failure in real time. The system is fully dynamic and receives signals from the power generation system to initiate loadshedding routines: these match demand for power with the finite renewable energy available and selectively dim lighting across the site to reduce power demand. The Delmatic system enables DALI drivers and devices to connect to a single network, halving the amount of cabling compared to other systems and so minimising the use of scarce resources including copper. 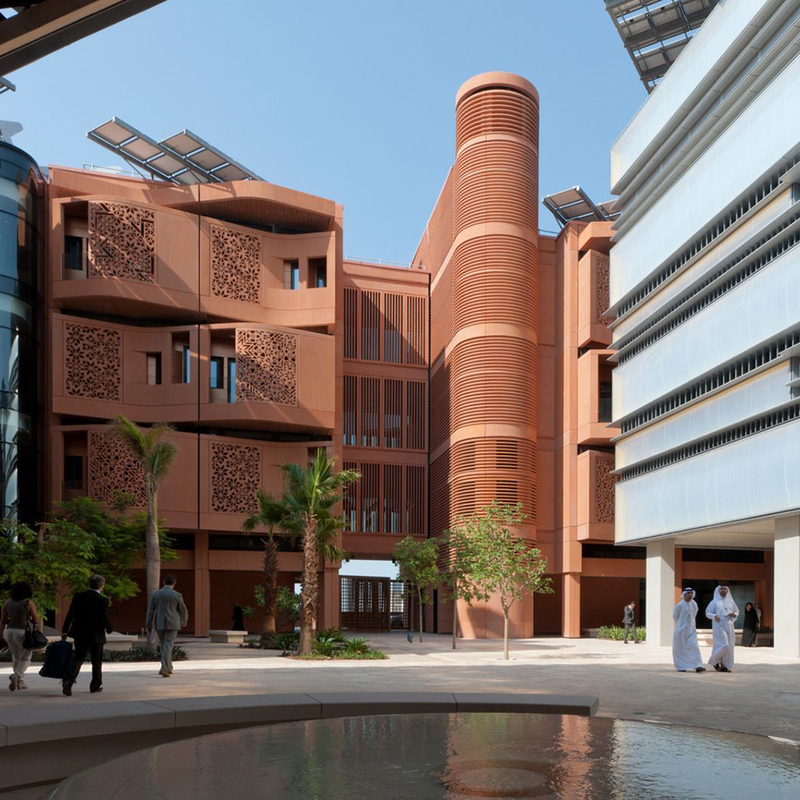 The Masdar City development has been described as “beyond LEED,” with an entirely new dimension of sustainable development and construction methods is being employed. 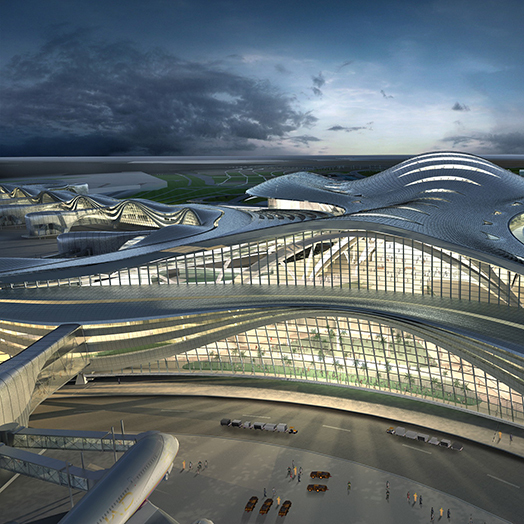 Overall lifetime sustainability was the deciding factor in a Delmatic system being selected for the Masdar Institute. The Delmatic system considers every watt of power and maximises energy efficiency while also enhancing overall sustainability, and minimising the extent of hardware and cabling.